Mary Jean Milford, 87, of St. Petersburg, went to be with the Lord late Friday evening, November 23, 2018 in the comfort of her home while surrounded by her loving family. Mary Jean was born in Mariasville, Salem Twp., Clarion County on October 28, 1931. She was the daughter of the late Gerald E. and Nellie E. Grimm Weeter. She was a 1949 graduate of Emlenton High School. 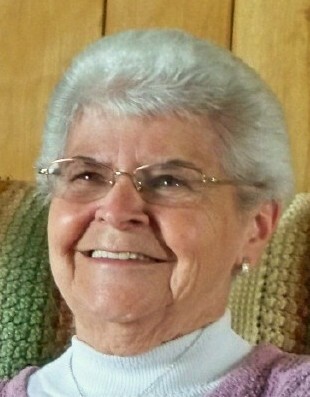 In her early years, she worked as a secretary at Mays Coal Company, at a bank in Oil City, at Milford’s Hardware Store, Flowermill Farm and Greenhouses in Emlenton, and retired following more than 15 years of service as a building secretary at the former St. Petersburg Elementary School in the A-C Valley School District. In her earlier years she had attended the Salem Reformed Church and was a member of the St. Petersburg United Methodist Church. Mary Jean was a long time girl scout and scout leader. She had served on the 1972 St. Petersburg Centennial Committee. She enjoyed singing, flower gardening, and reading. She looked forward to camping and canoeing trips with her family and was an avid Pirates, Steelers and Penguins fan. Mary Jean was married to Harry L. Milford on November 7, 1952 at the Salem Reformed Church. Mr. Milford preceded her in death on March 18, 2002. Surviving are two daughters, Marcia L. Best and her husband, Scott, of St. Petersburg and Diane L. “De” Clover and her husband, Ed, of Fisher; a granddaughter, Brittney Best of Rochester, NY, who was the light of her life, a sister, Dorothy Neely of Emlenton, a brother, Harold Weeter and his wife, Anne, of Conway, MI; a sister-in-law, Nancy Weeter of Emlenton, as well as a number of nieces, nephews, and cousins. In addition to her parents and husband, she was preceded in death by her grandson, Brady K. Best, a sister, Helen Dreibelbis and her husband, Harris, a brother, R. Kenneth Weeter, a brother-in-law, Lawrence "Jim" Neely, her mother-in-law and step father-in-law, Clara E. and G. Kenneth Hess, her father-in-law and step mother-in-law, Clarence D. “Curly” and Esther Milford; a sister-in-law and brother-in-law, Gertrude and Nelson Cotherman. A memorial service will be held at the Hile Funeral Home Inc., 802 Grove St., St. Petersburg, at 11:00 a.m. Saturday, December 15, 2018 with the Rev. Sue Evans, VNA Hospice Chaplain, officiating. Interment will be in Nickleville Cemetery. Memorial contributions may be made to The St. Petersburg United Methodist Church, PO Box 281, St. Petersburg, PA 16054 or the Clarion Forest VNA Hospice, 271 Perkins Rd., Clarion, PA 16214. For additional information or to send a condolence, please visit www.hilefh.com.